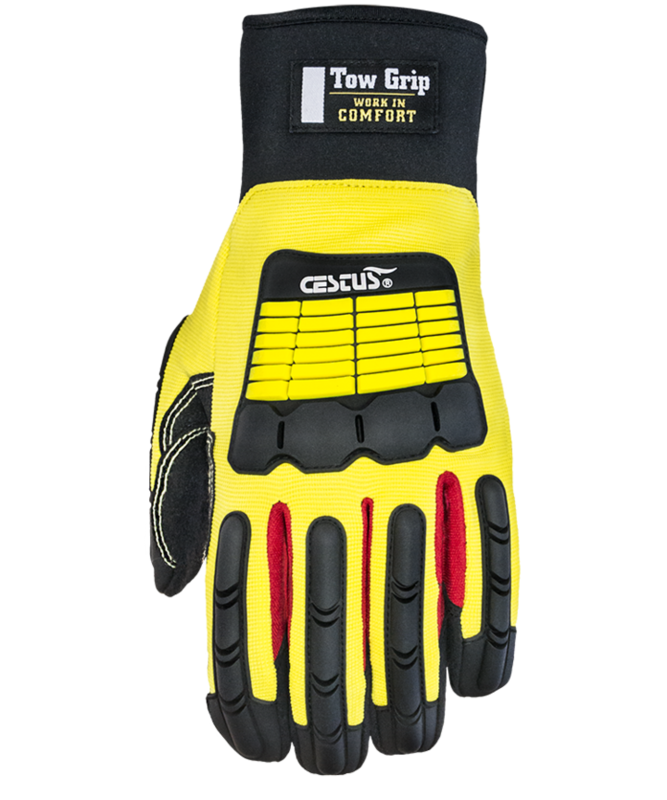 The oil-resistant, dual-layer Zip Grip palm features non-slip grip on top of a cotton palm for staying grip control that is reinforced with Kevlar® thread double stitching. Flexible Thermoplastic Rubber (TPR) shields add impact resistance for full back of fingers down to the fingertips, thumb, knuckles and metacarpals on top of form-fitting spandex. The neoprene long cuff covers the wrist, while allowing the user to pull out of the glove if caught in a pinch or machinery. Zip Grip: Durable grip with oil, water, and petro-chemical resistance, as well as textured palm for gripping power on wet, oily or dry surfaces. 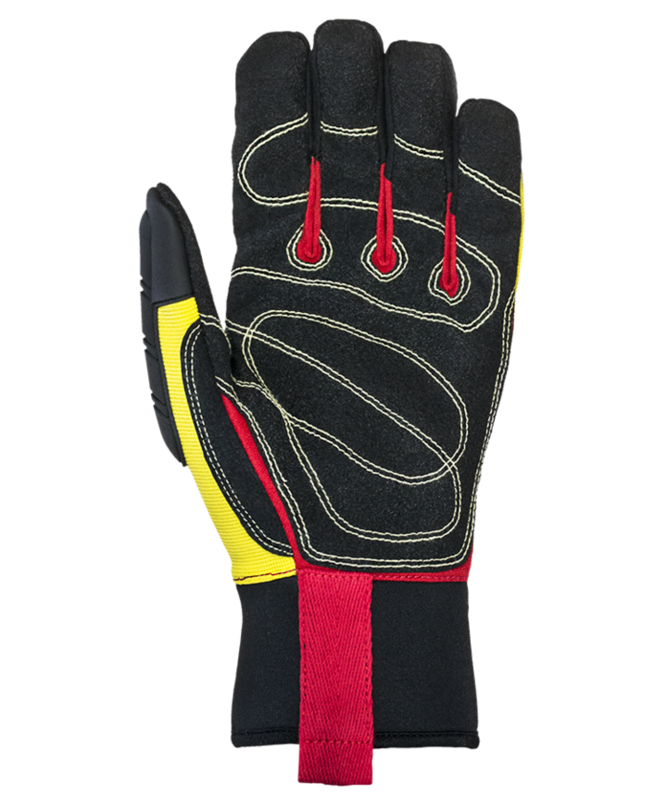 Oil-Resistant, Dual-Layer Palm: Adds oil and water resistance. 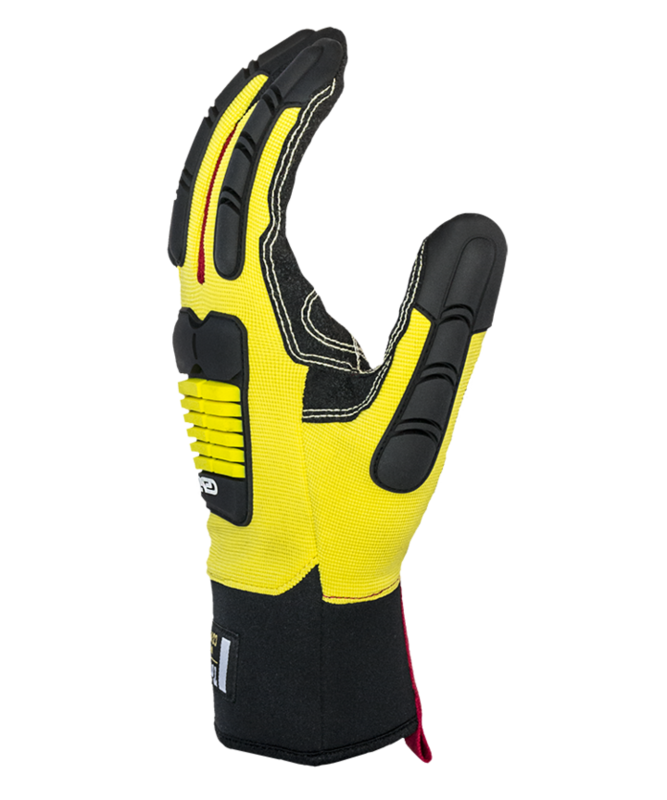 Kevlar Thread Double Stitching: Adds durability and longevity. Reinforced Saddle: Adds longevity in high-wear area.